I'm always trying to find new products to try and get the perfect flawless skin that we all want. 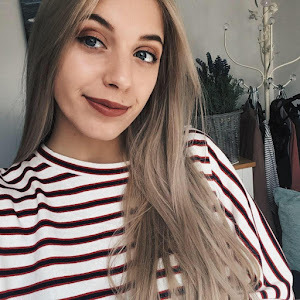 I've mainly used Nivea and Skin Therapy as well as so many other brands but they all seemed to have one side effect or another (usually ending up in making my skin worse off then it was to start with). I'm still satisfied with the amazing products I use at the moment from Simple Skin Care, but I really fancied a change. 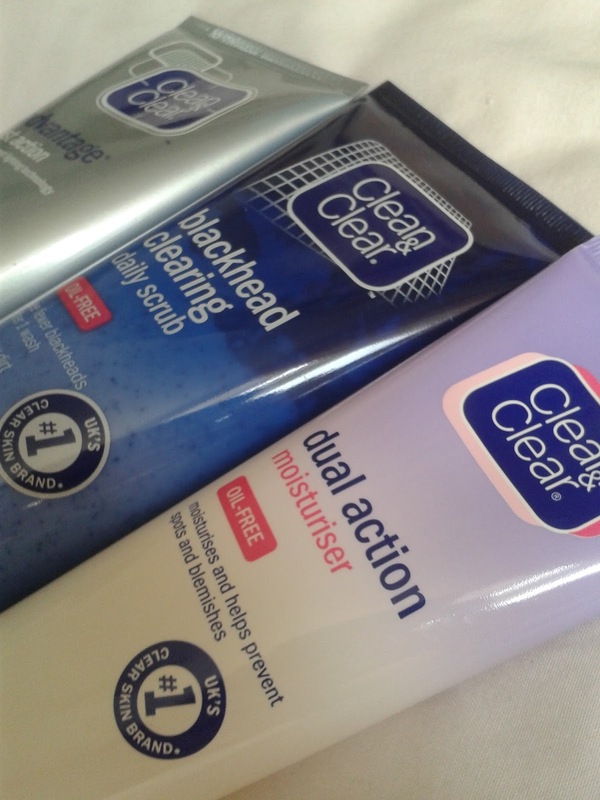 So in the end, I finally decided to try Clean & Clear. 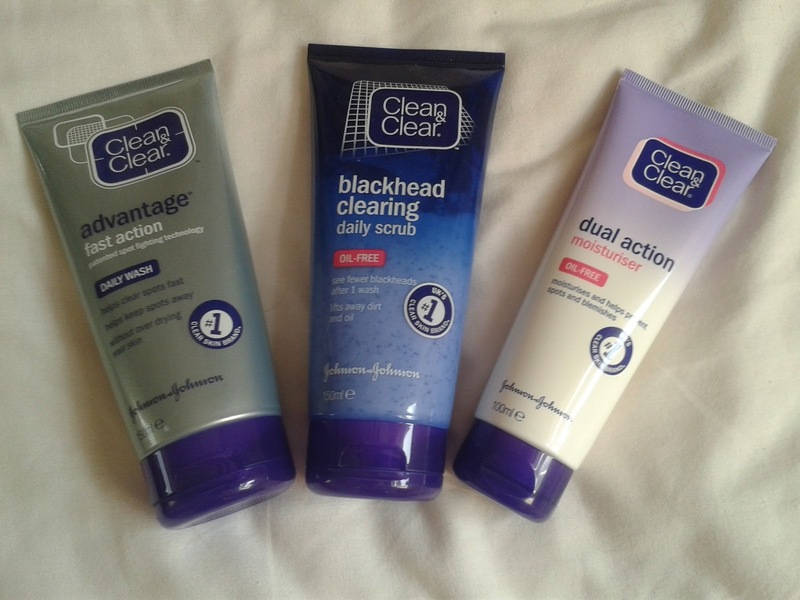 It's been labelled the UK's #1 Clear Skin Brand, so I put my trust in the award and bought these three products: Advantage Fast Action Daily Wash, Blackhead Clearing Daily Scrub and Dual Action Moisturiser. The daily wash is extremely refreshing. You can feel the bacteria being washed away and it honestly makes my skin feel so fresh, especially when I use it in the morning. 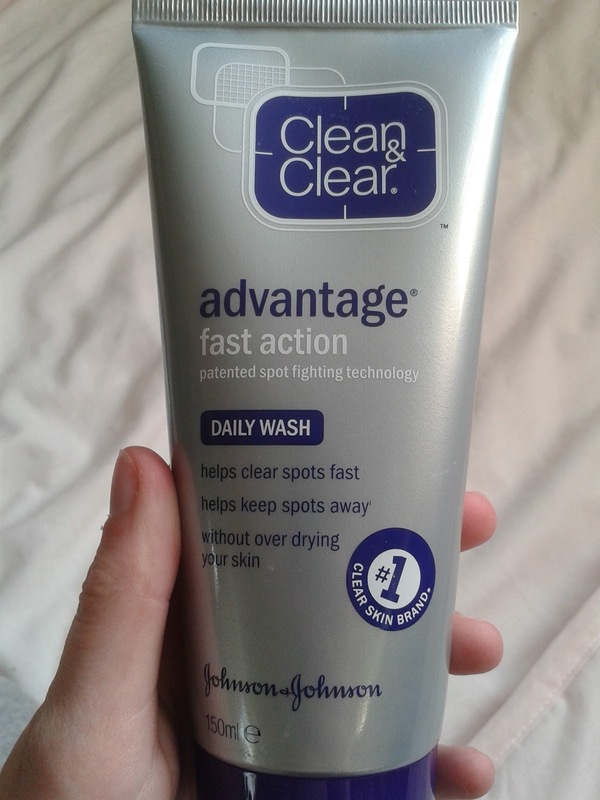 It has definitely helped keep my spots away and clear the spots that were already there! I don't suffer with bad acne, I just get a few spots here and there, but this product cleared them right up. The first day I didn't notice a lot of change, but by the third day I could really see how much it had helped my skin. 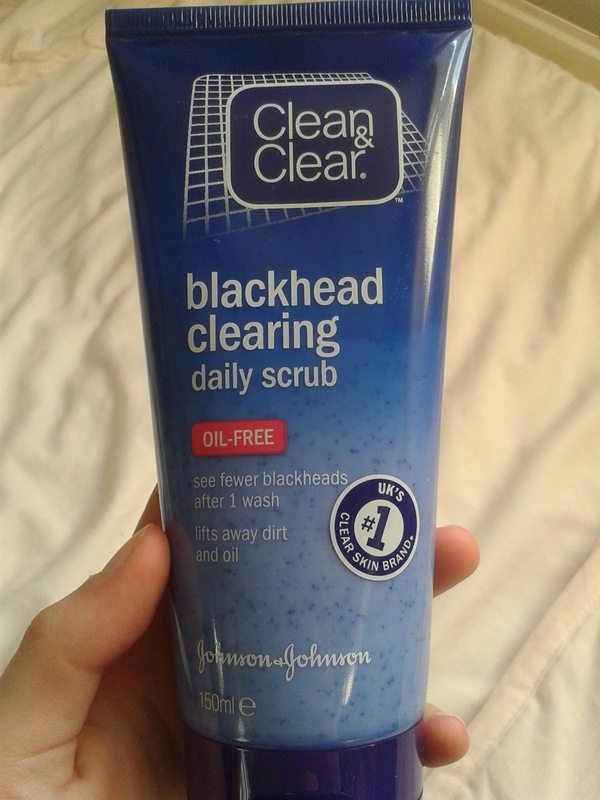 I use the blackhead clearing scrub straight after the daily wash. I believe it's also helped with the clearing of my spots as well as blackheads. However, this product has taken a bit longer to work. It took a week and a half for me to see a noticeable difference. I can say with confidence that it was definitely worth the extra days because the results have been great! 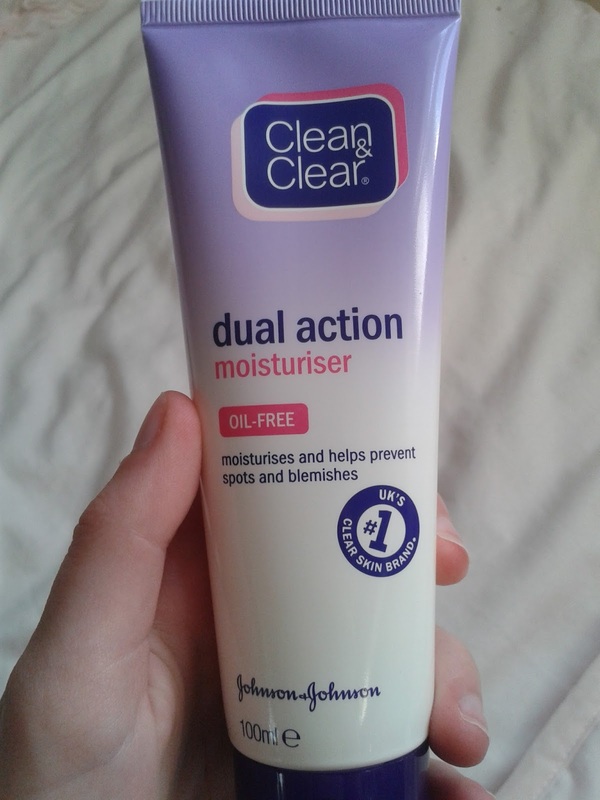 The dual action moisturiser definitely does its job! It moisturises my skin so well, leaving it feeling clean and soft. I also found that it actually helps my makeup stay on longer! Don't ask me how, because I have no idea! Unfortunately, I did find one problem with this product which was that I couldn't use it straight after using the other two products. When I did this, my skin felt like it was burning - not fun! A couple of days later I tried it again, this time waiting half an hour before applying it, it still stung a bit but wasn't as bad. 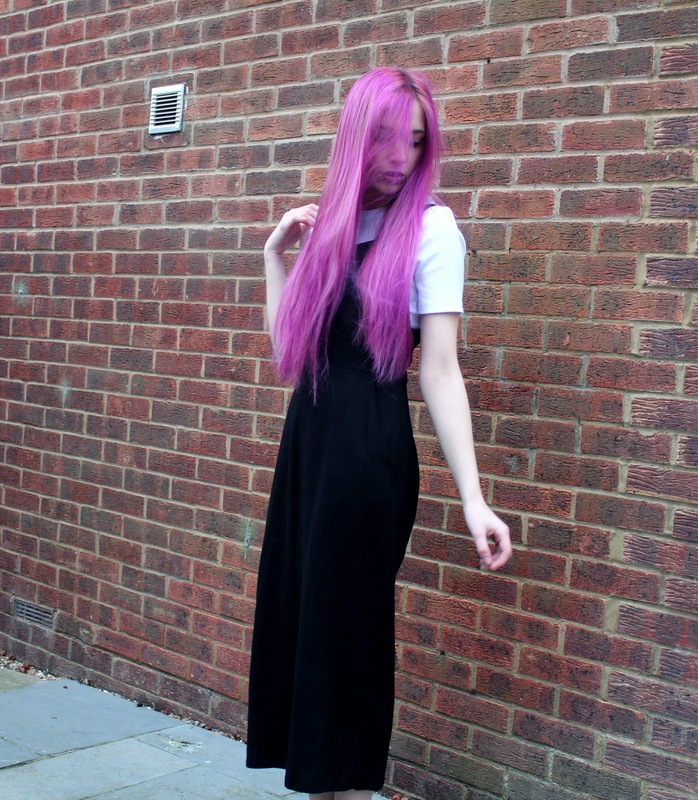 I found that if you wait an hour, you can apply it easily with no discomfort whatsoever. 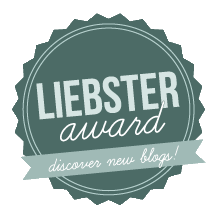 These products have made a major improvement to my skin! I'm so happy I found them and I will continue using them for a long time. Let me know in the comments how you feel about Clean & Clear products!